For over 25 years, the Howie Law Office, PLLC, has been providing legal services to those in the Southern New Hampshire and Eastern Massachusetts. With offices located in Salem, New Hampshire, Andover, and Woburn, Massachusetts, our firm can handle all your legal matters. Our staff and attorneys have a thorough understanding of the laws in both states, and we regularly provide counsel that is based on the latest legal strategies and techniques. We also accept credit cards for the convenience of our clients. Whether you are making preparations for the preservation of your assets after your death, or you are planning to file for divorce, our law office is there to guide you through the process. In a free initial consultation, we gather the facts about your situation and show you options that may work for you and your family. This may include setting up a family limited partnership for a family-owned business, drafting a petition for divorce or negotiating with your spouse for a fair division of marital property. If you or a family member has been arrested and charged with a DUI or DWI, our attorneys can examine the circumstances and determine whether your rights were violated. We are known as thorough and aggressive advocates with a proven success record in obtaining a reduction or dismissal of such charges. We will not hesitate to question the results of field sobriety tests or the reliability of chemical testing processes. 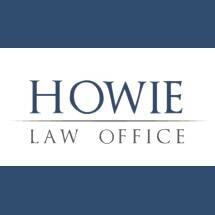 At Howie Law Office, PLLC, we know that there are always two sides to every story. Our attorneys are dedicated to making sure you have the opportunity to tell yours.